Navigate offers all the features and functionality that made ReferNet an industry standard in a new, intuitive, web browser-based platform. 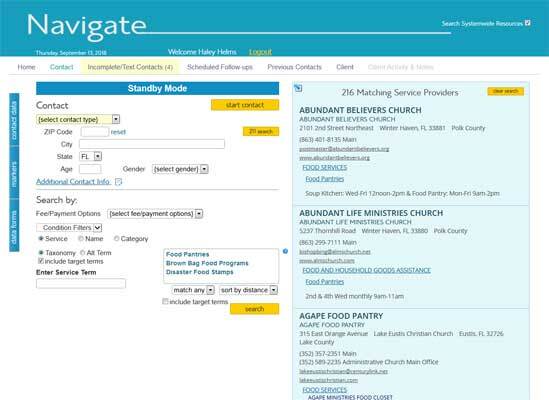 Navigate is the latest and best technology available for 211 centers. Navigate offers ultimate flexibility and functionality for all 211 center activities. Search by the AIRS Taxonomy or ANY service classification system you choose. Ultimate flexibility and functionality! Want to be certain critical contact and referral data are recorded? You decide what information must be collected. Ultimate flexibility allows you to add and change business rules for required data any time.Complete and comprehensive data for all reporting. Too much time with unsuccessful follow-up attempts?Not getting outcome information? Navigate has the solution. Schedule follow-ups by text. Outcomes are automatically recorded. Texting response rates are proven to be higher than phone or email. Get superior outcome data automatically! 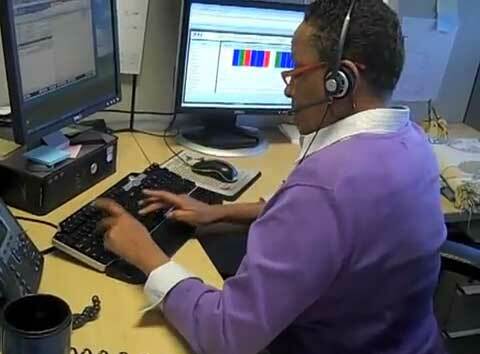 Do you take afterhours calls for another 211 center or transfer your afterhours calls? No problem. Navigate knows which 211 center should record the afterhours call by the caller’s location, so the contact is automatically routed to the proper system. Want to seamlessly share resource data with other 211 organizations? Navigate can display resource data from any other sharing system. Just enter the ZIP Code or city where the service is needed, and the provider information displays in Navigate. It’s real-time and secure. Maintain your 2-1-1 community provider information in the most comprehensive, flexible, and easy to use application. Dozens of helpful functions to make data maintenance less time consuming. Creatively group providers for custom projects. Condition filters are easy to set-up and maintain. Ultimate flexibility allows you to rapidly respond to requests for "Who does this in our community?" Enhance your 2-1-1 profile to become a more valued community partner by always being ready with the needed data. Quickly find providers by name, available services, location, service area, complexity score, staff assigned, formal update, and annual survey date. Supports statewide resource database, local resource datasets, or a combination. Unlimited flexibility with data sharing. Automated provider alerts for annual survey updates. New easy to use tools for reviewing and applying provider updates to data records. 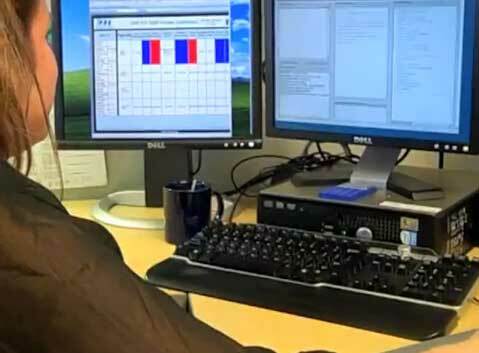 RTM Designs' ReferNET System is the most complete and comprehensive Information & Referral software system available for I&R networks or individual I&R Call Centers. The ReferNET System is an all inclusive, fully centralized, internet-accessible system that uses RDP "thin client" technology, which offers greater security with lower minimum system requirements than many systems. The ReferNet Call Center System allows each I&R call center to create and maintain its own local resource data file in the central system while collectively sharing these locally maintained resource files with the other I&R network members. Every regional call center in the network has immediate access to the latest service provider data throughout the state and this data is immediately available to the local or statewide ReferWEB Public Access website and the ReferONE Emergency Management System. Confidential call/client information recorded by each I&R member organization such as referrals, notes and statistical data is stored separately and can only be accessed by the recording I&R member or by permission from the recording member. The ReferNET system is one of the most affordable, efficient systems in use today. Pricing varies based on annual call volume, number of organizations in network, provider resources, and number of users. Call RTM Designs at (888) 933-5052 for a price quote for your organization. For organizations unable to use the centrally hosted internet-accessible system, RTM Designs offers custom solutions designed to meet the needs of organizations requiring an in-house, locally-hosted system. Call RTM Designs to learn more about how we can meet your organization's needs.